Have you ever thought about what you would do if you could go back in your life and change something? Well, one thing I wish I could go back and change is my dorm room! Since I won't be needing one of those any time soon, I have made it my mission to create an extremely cute guest bedroom. Pottery Barn Dorm has so many different styles of bedding, accessories, and wall decor. So many, that I don't know if I could choose just one style! 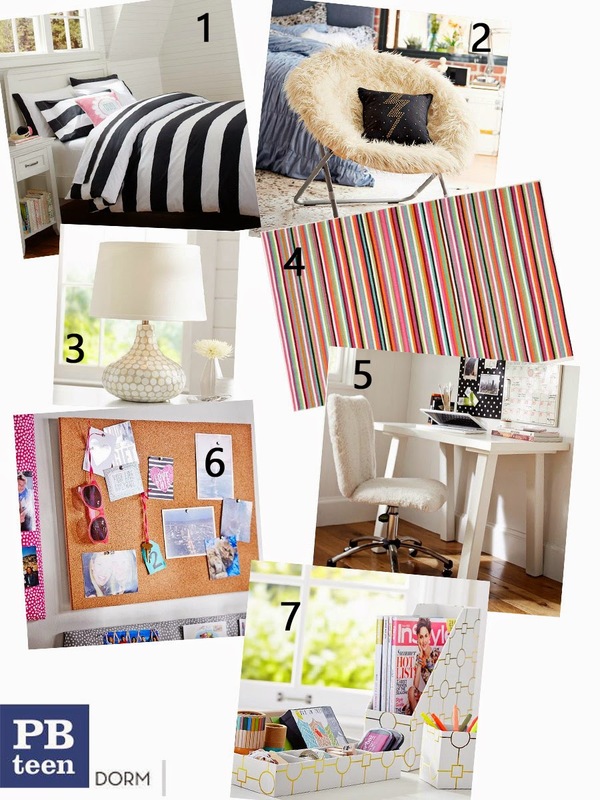 Today I am going to share with you how I would decorate a small space/dorm room with PBdorm! First, keep it clean and of course keep it fun. Show your personality through your decor. I love how clean and cute PBdorm decor is and how even one piece can change the look of your whole room. Keep in mind these items are definitely not just for a teen audience. I LOVE it all and I am definitely not a teen anymore. :) Check out my PBdorm Room picks below and make sure to check out PBdorm for more amazing pieces! I chose to mix stripes and stripes, because I am a crazy one. :) Like I said before, I believe your personality should shine through how you decorate! It is more fun that way! I love the all white desk and the white accessories with touches of color. I can't wait to decorate! * This post is sponsored by Pottery Barn, but all opinions are my own.